At JoomlaServiceProvider, we are providing Joomla! Migration services and update your Joomla! CMS like Joomla! 2.5 to 3 or higher version at very affordable rate. We secure and fix hacked Joomla! websites. We help you configure and setup any Joomla! Extension on your website. jSecure Authentication is a security component which enables multi layered security protection to your Joomla! website. Easy to install, jSecure adds a higher level of security to your Joomla! website. 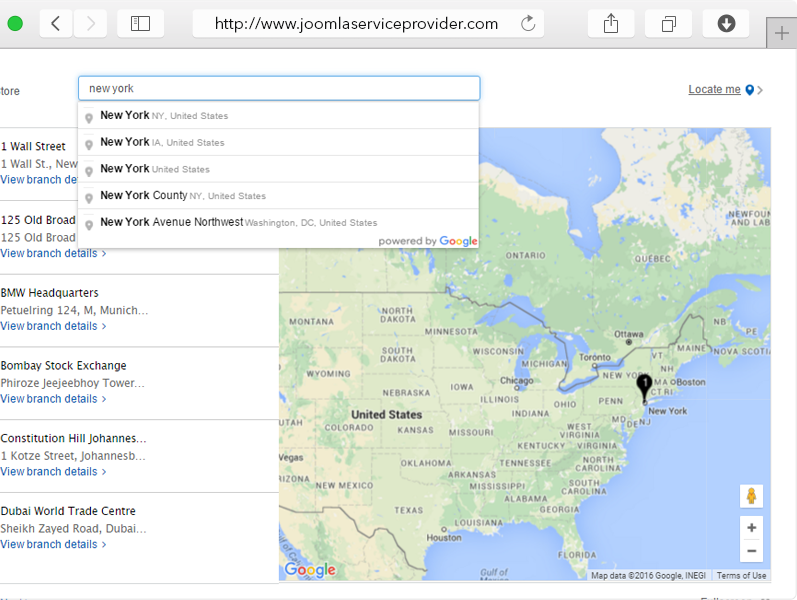 JSP Store Locator for Joomla! provides a rich interface to search and display dealer/office locations for a company who owns offices in multiple locations using Google Maps or Bing Maps. 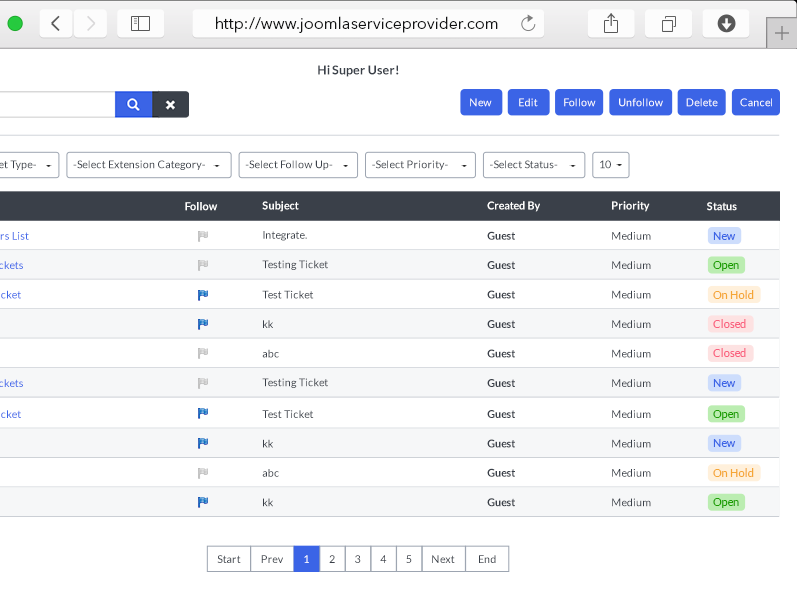 JSP Helpdesk Ticketing Extension is Support Ticket System for Joomla! 2.5.x and 3.x Platform which provides Helpdesk support ticket accessibility to both Joomla! guests and registered users. jLike Social Share Extension provides users to share website content easily on various social networking websites. jLike Social Share Extension consists of Component, Module, and Plugin. Joomla! AddThis module displays AddThis on your site on specified position. This module only works with Joomla! 1.5.x, 2.5.x and 3.0. You can customize any AddThis Parameter easily within the module it self. The jSecure Lite component prevents access to the administration (back end) login page if the user does not use the appropriate access key. Protect your WordPress site! wSecure hides your WordPress admin page from public access making it invisible which helps to protect your website from hackers. The wSecure plugin hides admin URL so that “www.yoursite.com/wp-admin” will no longer bring up the admin page. Instead, wSecure allows you to set your own admin URL using a secret key. Joomla! has one drawback, any web user can easily know the site is created in Joomla! by typing the URL to access the administration area (i.e. www.site name.com/administration). This makes hackers hack the site easily once they crack id and password for Joomla!. 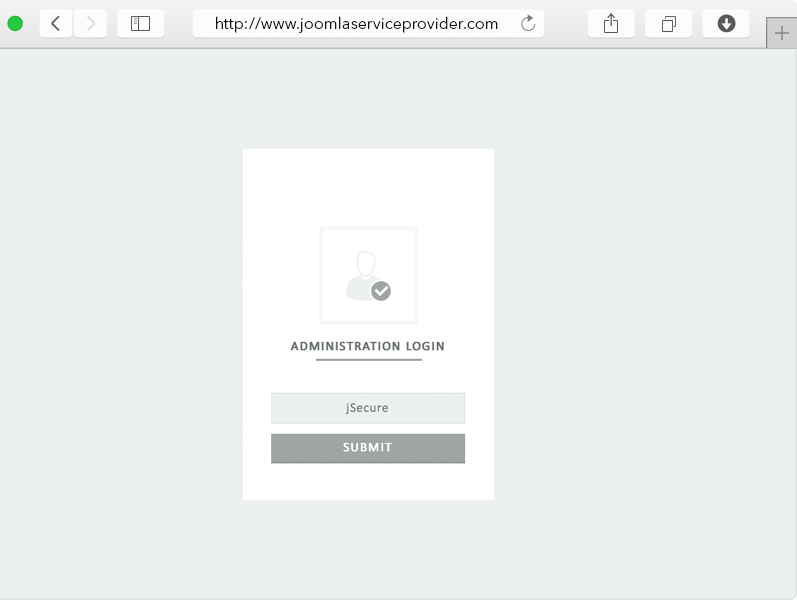 Information: jSecure Authentication module prevents access to administration (back end) login page without appropriate access key. JSP Store Locator provides easy to use interface for searching location, zip code, area code and provides Google map to display the locations. The administrator can easily add/edit the locations/offices from backend interface and publish/unpublished locations. Show support ticket categories of the other extensions for user to pick the category while creating a helpdesk support ticket. Administrator can assign different user groups in JSP Helpdesk Support Ticket. User can add different types of attachments to the support tickets. jSecure Authentication - I was hacked every 1-2 months before, which means reinstall all my 10 joomla! sites (all within the same provider). I was bore and angry with it. Now, every ting is fine, and more I receive an email for each attempt, so I tell you that this extension is mandatory to protect your joomla! sites. jSecure Authentication - I've been using this component/plugin for many years. And it all come back to me as a perfectly nice and reliable Joomla! extensions that I couldn't resist. Helping me out to cover up and secure my backdoor area from unwanted cheater and very unpleasant people. JSP Store Locator - This gives you an easy to use branch finder - much better than some high end solutions that some retailers use. Works well on mobile. JSP Store Locator - The extension allows you to list your branches or locations on an interactive map with interactive search and location detection. Support is impeccable, fast, friendly and efficient. Very good value for money.